One thing that is always nice in the well-decorated home, is a decorative conversation piece. It’s even better if that piece is also a lovely home for an exotic pet of some kind. This unique tortoise house is made with a durable oak finish designed with a large turtle enclosure and a completely enclosed sleeping room to give your pet privacy and security. The Vivexotic Viva tortoise table has a removable glass wall, an optional heat mat to keep your pet turtle warm, and a separate stand with legs, to make the tortoise house into a freestanding table. 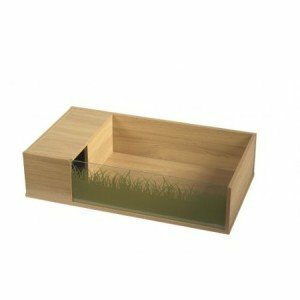 This easy to assemble table can be filled with anything your turtle needs, including sand or soil, decorative pebbles, plants, and a little swimming pool for the turtle to enjoy. The table has plenty of room for food and drinking water, and is very easy to clean by simply lifting out the removable wall and scooping the detritus out into a trash bin. This is great because some turtles are known to be very messy eaters and housekeepers. Turtles are also known to really like the Vivexotic Viva, and thrive inside its landscape. In fact, this tortoise table is so popular that it is difficult to keep it in stock. The Vivexotic Viva tortoise table is resizable, as it can be attached to another optional piece which is sold separately, to make the turtle’s play and pool area larger in order to accommodate growing tortoises, or larger ones. In other words, no matter what size your pet is, he will have plenty of room with this tortoise table. This table perches on four flat panel legs and is just the right height for the pet owner to care for the turtle without back strain from bending. The table legs are removable, which enables the pet owner to set the tortoise home up by itself, without the legs, making the whole arrangement more portable to move it from one room to another easily. This sturdy tortoise table is very well made and holds up well, despite years of use and constant cleanings. It should look good as new several years from now and be just as enjoyable for your pet turtle as well as for anyone who gets a good look at it. Say goodbye to sloppy cardboard boxes that fall apart a few days after you start feeding and watering your pet turtle. Say goodbye to gritting your teeth against the smell of a messy turtle house that is difficult to clean and keep that way. Say hello to something pretty that you can decorate to your heart’s content. The outside of the plain wooden cabinet can even be stained or painted to fit your décor. It doesn’t get much better than that. Can you keep Horsefield Tortoises outside? 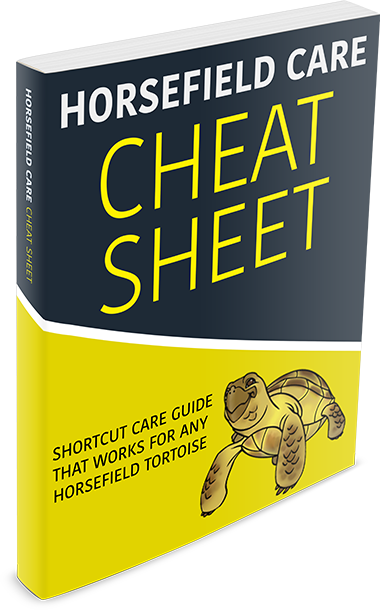 What Does A Horsefield Tortoise Need? horsefieldtortoise.co.uk is a participant in the Amazon Services LLC Associates Program, an affiliate advertising program designed to provide a means for sites to earn advertising fees by advertising and linking to Amazon.com and Amazon.co.uk. © 2017 Horsefield Tortoise. All rights reserved.